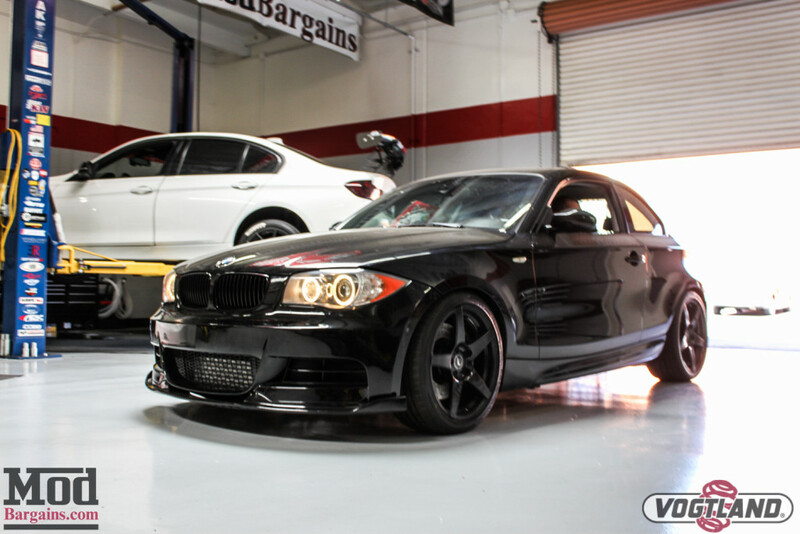 Give your 135i or 335i only the best intercooler, the Evolution Racewerks Competition Front Mount Intercooler. 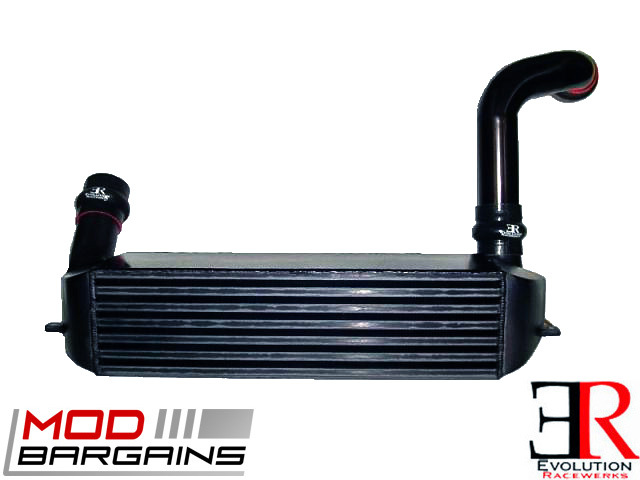 Upgrade your existing intercooler to an Evolution Racewerks Competition Series Intercooler for improved cooling, and noticeable gains in power. 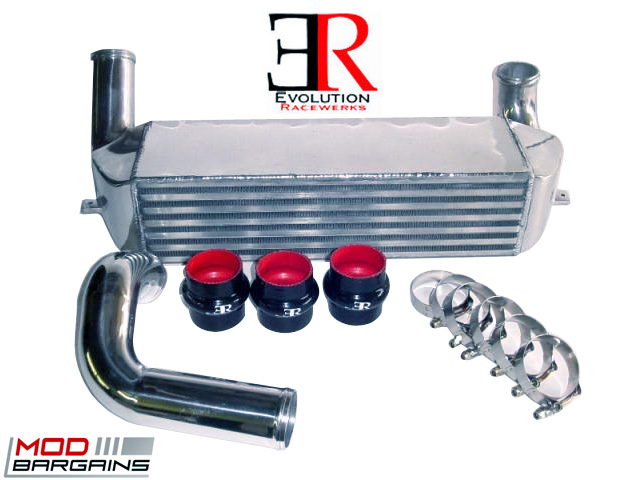 The Evolution Racewerks Intercooler has been in development for over a year on and off the track, and has had 6 design revisions to improve cooling efficiency and flow characteristics. 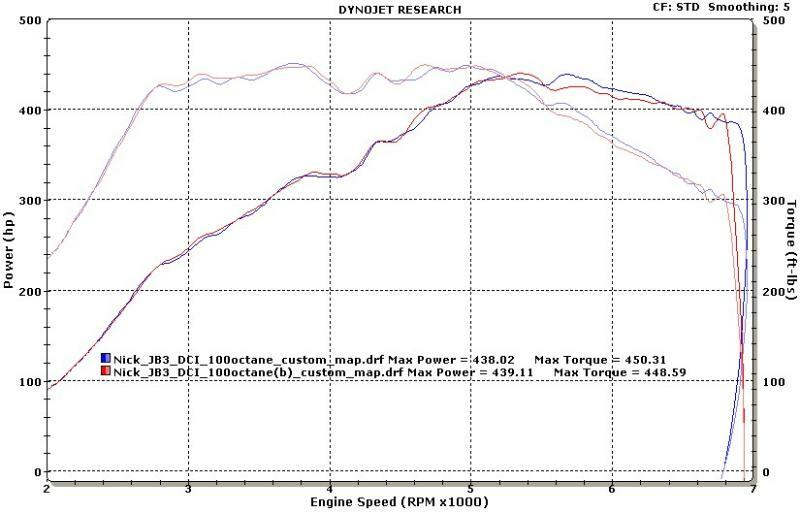 Dyno tests have proven the intercooler to show gains of 15 - 25 horsepower at the wheels, and even more on high boost applications. 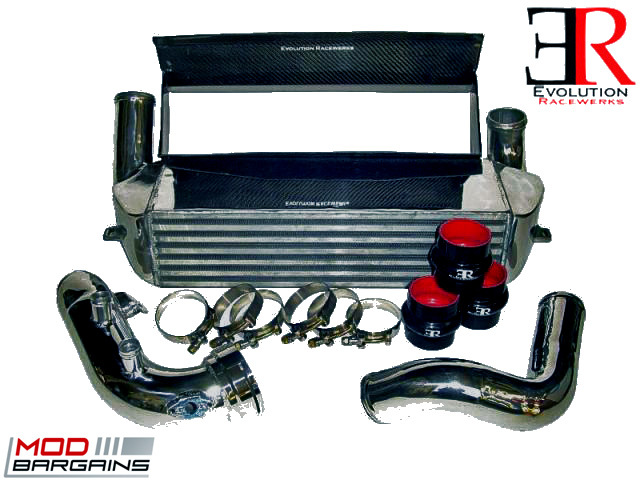 Full - The full kit consists of everything included both the basic and standard kits but adds the intercooler carbon fiber shrouding kit. 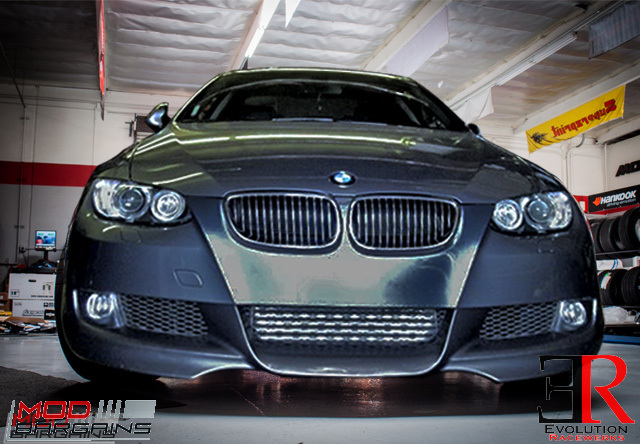 The carbon fiber shrouding channels airflow from the center grill to the intercooler core. Air wants to travel through the path of least resistance, which in this case is around the intercooler core instead of through it. The carbon fiber shrouding prevents this and forces air to travel through the core. 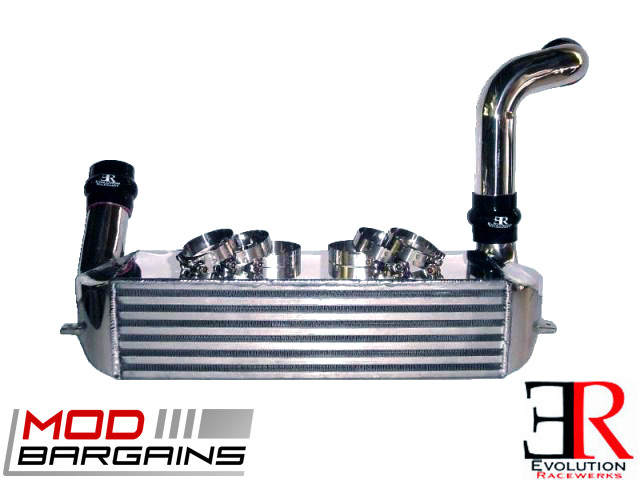 The heart of the Evolution Racewerks Competition Intercooler is the massive 20”x5.5"x6” (26.5”x5.5"x3” with end tanks) high density bar and plate intercooler core. It features 660 cubic inches of very efficient high density bar & plate core, versus the factory 425 cubic inches. 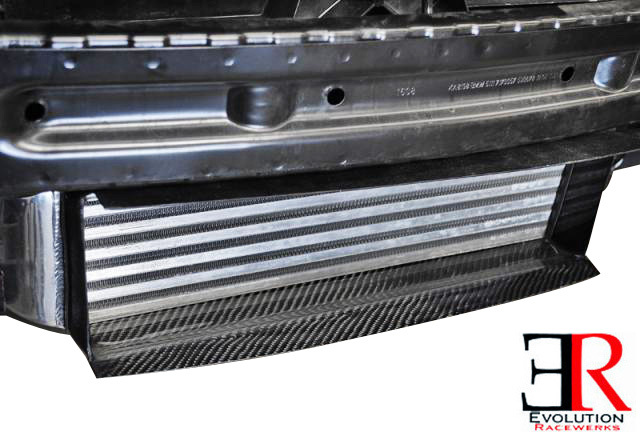 Through extensive testing of different types of intercooler cores Evolution Racewerks found that the high density bar and plate core to be the most efficient. 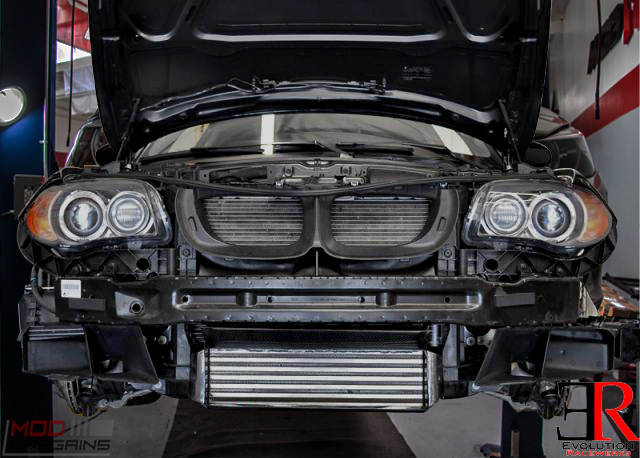 Independent testing has shown that the Evolution Racewerks Intercooler is so efficient in cooling that it has cooled intake air temperatures to almost ambient (outside) temperatures. 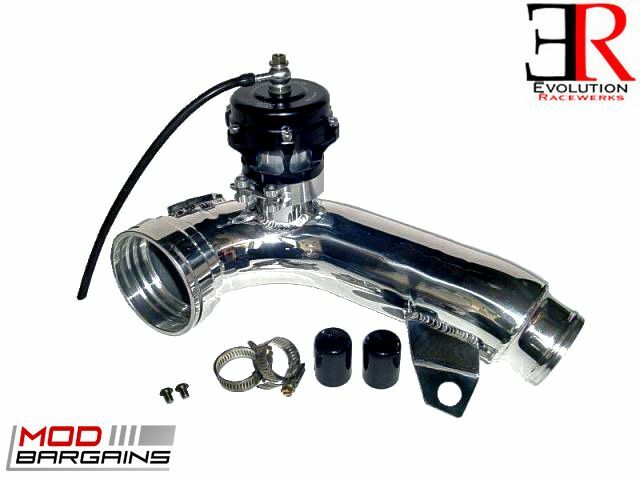 One of the most overlooked aspect of intercooler design is the intercooler end tank and piping. 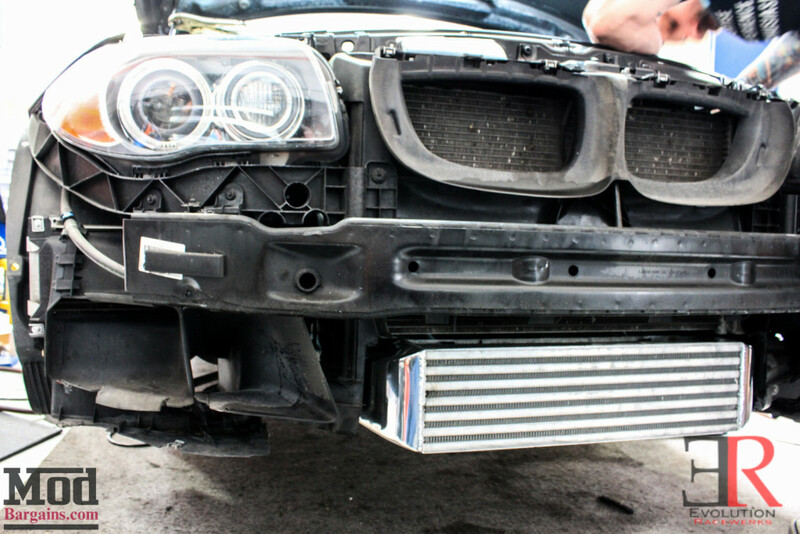 Having shorter and less bends on the intercooler piping will promote better internal flow. 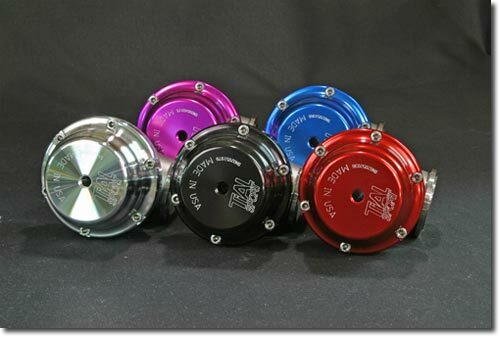 This helps in reducing turbo lag, increase throttle response and faster boost spool ups. 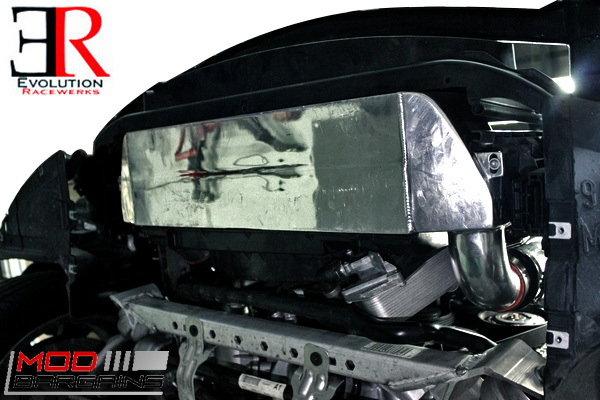 An intercooler end tank must be designed to channel and distribute air coming in from the inlet efficiently throughout the intercooler core. 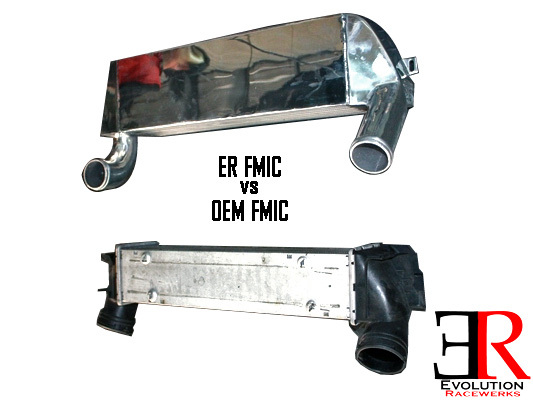 Evolution Racewerks' end tanks design has been revised numerous times to promote smooth internal air flow. The cast end tanks allow a smooth radius on the inner edges of the end tank, causing less turbulence. The inlet pipe angle has been changed to provide a smooth entry into the end tank and removes an extra bend that the factory hoses have. Rubber hosing expands under boost pressure. 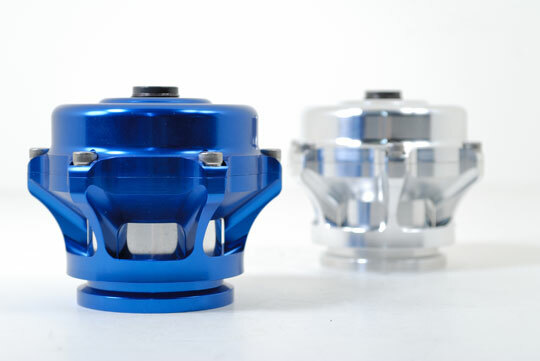 This expansion disrupts internal flow and causes turbulence, all of which slow down airflow velocity (which causes slower boost spool up and decreased throttle response). 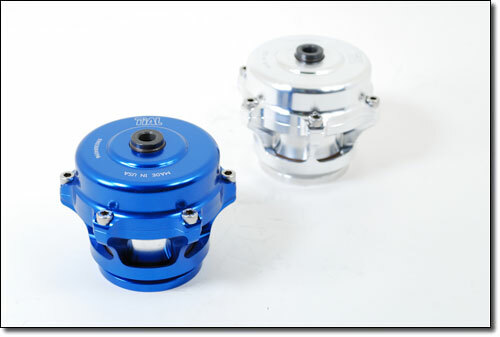 By replacing the factory rubber hoses with hard piping, noticeable increases in boost spool up and faster throttle response can be seen. Evolution Racewerks also did extensive testing on the proper size to use to effectively cool the hot charged air as well as fight off “heatsoaking”. “Heatsoaking” is not an issue at all as shown by consistency of the Intake air temperatures staying in the same temperature range throughout the WHOLE RPM powerband. 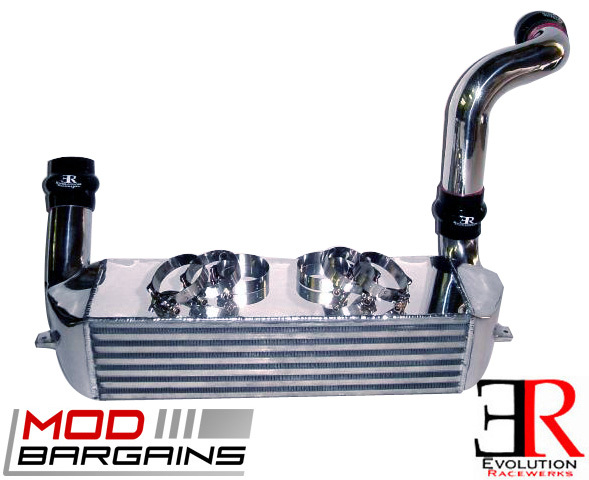 Evolution Racewerks' Competition Intercooler is just what it is, designed for competition. 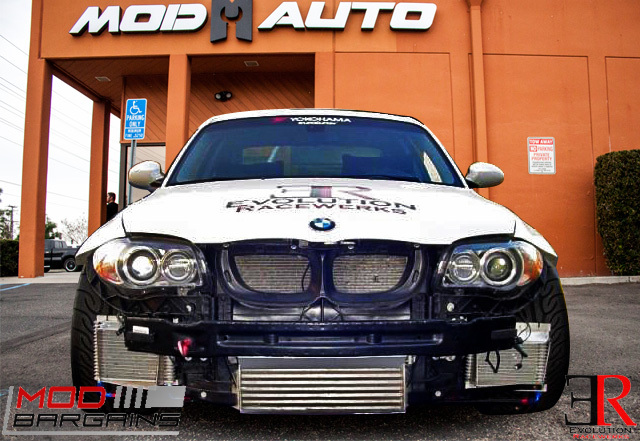 Evolution Racewerks has tested their intercooler in 100+ degree heat, on their time attack race car and have had no problems with heatsoaking. 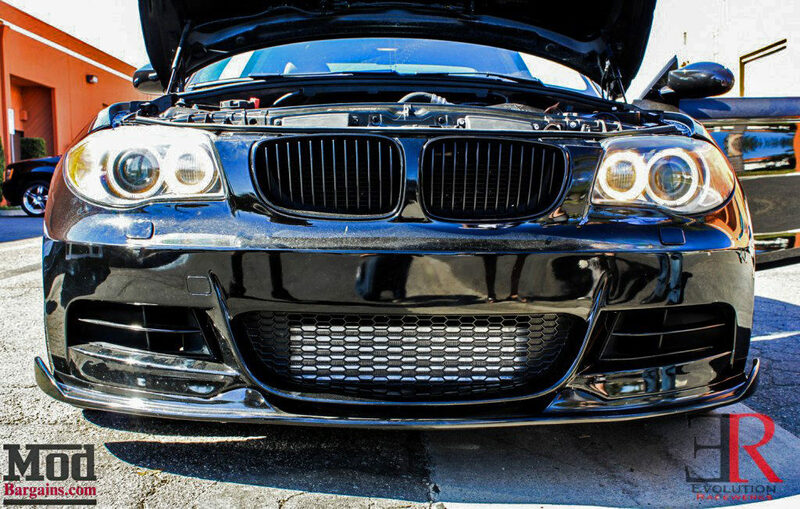 With it's size and ability to support over 600hp, it is most likely the last intercooler you will ever buy. 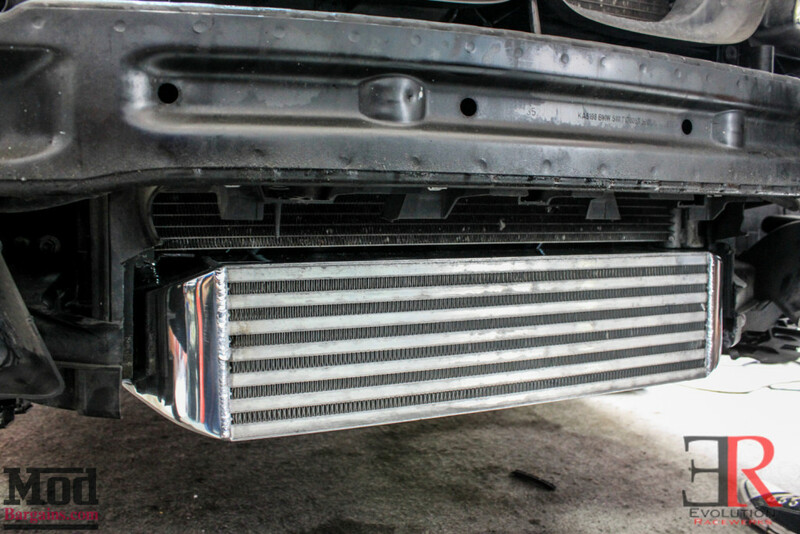 Evolution Racewerks' Competition Intercooler sits in the factory location underneath the radiator. Why you ask? 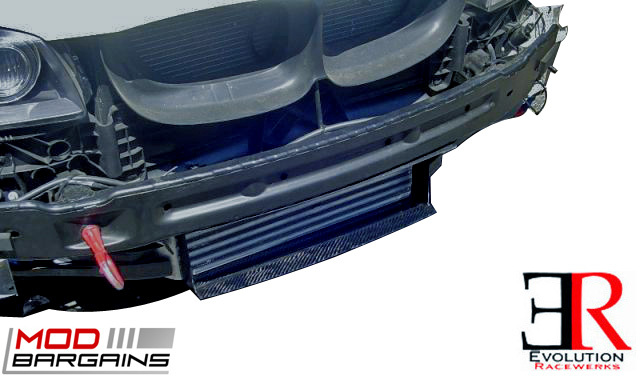 The radiator fan and radiator shrouding extends from the radiator above towards the bottom, directly behind the factory intercooler. 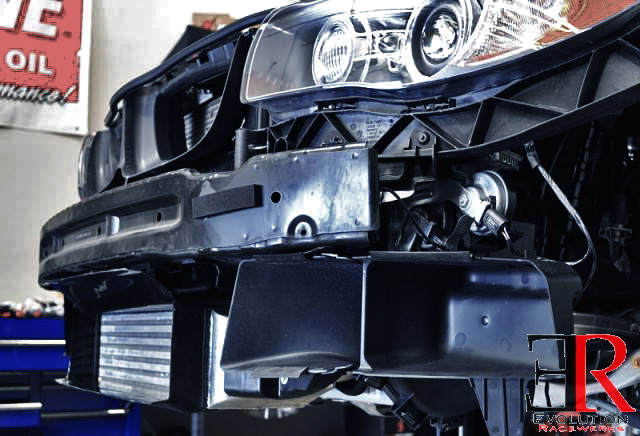 By siting the intercooler in the same location, we can take advantage of the radiator fan pulling air through the intercooler core. This makes for even greater efficiency, just like how the BMW engineers designed it to do. 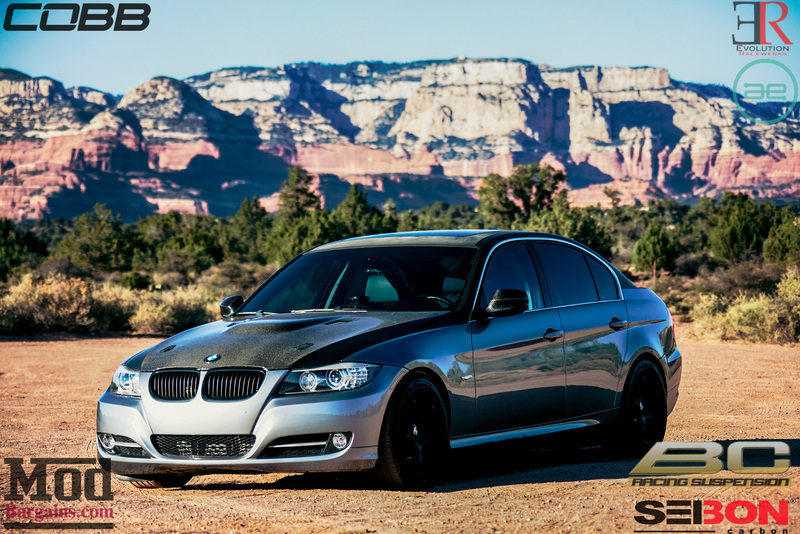 With the optional carbon fiber shroud ducting, even greater efficiency can be had. 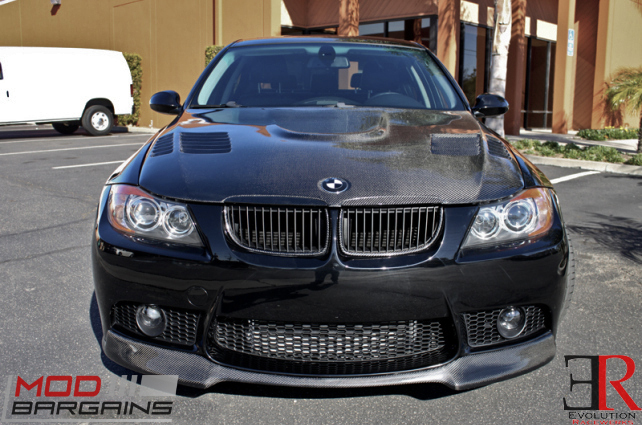 The carbon fiber shrouding channels airflow from the center grill to the intercooler core. Air wants to travel through the path of least resistance, which in this case is around the intercooler core instead of through it. The carbon fiber shrouding prevents this and forces air to travel through the core. 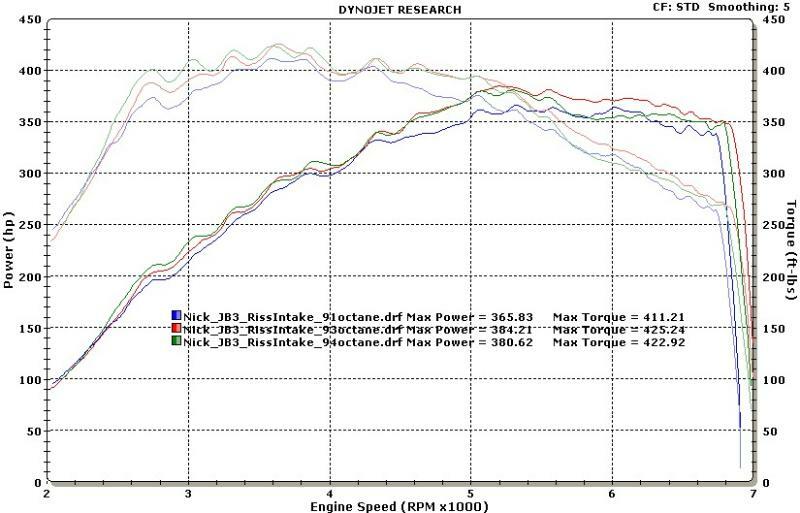 Even with a small fan on the dyno, intake air temperatures are still very low. Also, by maintaining the factory configuration, we do not block airflow to the radiator at all. 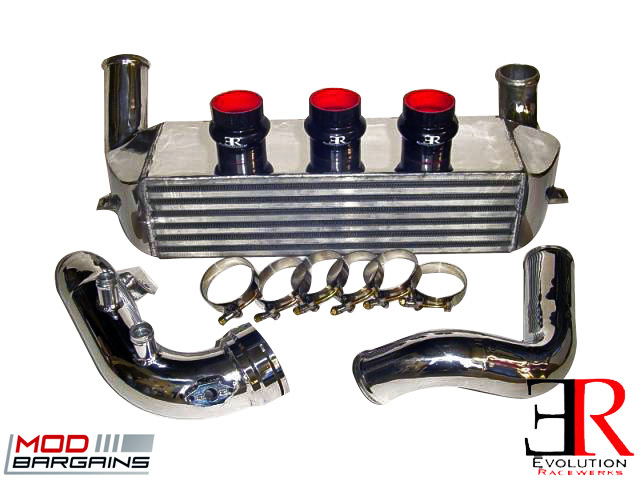 Unlike turbo kits and other parts where the main power adder is constant, intercooler gains is based largely on how badly the current intercooler setup working and will vary from setup to setup. Dyno graphs do not properly show the performance of intercoolers, intake air temperatures do as that is the job of the intercooler. A car running factory boost pressures and The Evolution Racewerks' Intercooler will see lower gains than another car running more boost with the same intercooler. 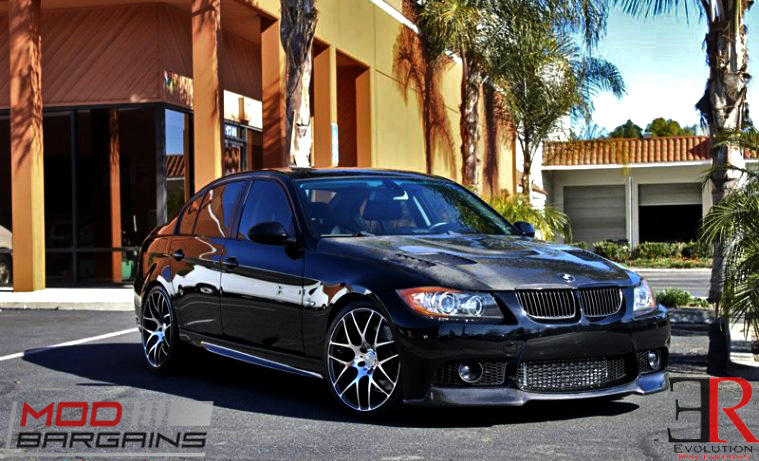 Even running upgraded downpipes and exhaust will affect overall gain. You will see a 15 to 25 hp to the wheels gain based on your modifications. On high boost cars, we have seen 25+ hp gains.